Jakarta, April 6th 2016 – Keeping up with today's growing trend of culinary enthusiasts, Archipelago International recently held its third ever Super Chef Battle - a cooking contest between the Executive Chefs from different Archipelago Hotels in the region. 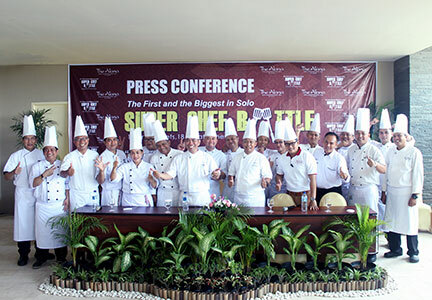 Previously held in Bali and Yogyakarta, this year's Super Chef Battle - entitled “18 Great Chefs, 18 Great Dishes” - was held at The Alana Hotel & Convention Center – Solo on 20th March 2016 at the hotel's Cinnamon Restaurant and Venice Lobby Lounge. Participated by 18 Executive Chefs from Archipelago Hotels in Yogyakarta, Jakarta, Denpasar, Bojonegoro, Solo, Makassar, Balikpapan, Cirebon and Bandung, the Executive Chefs displayed their skills by transforming home-style traditional dishes into classy interpretations that meet five-star hotel standards. 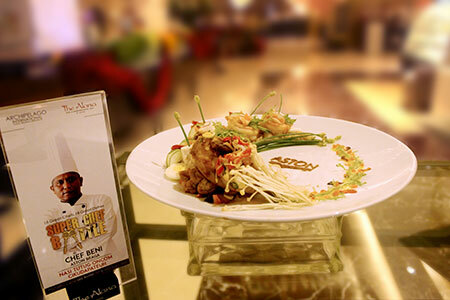 The menus featured dishes from the typical cuisine found at each chef's hometown, including Nasi Liwet, Nasi Kucing, Oseng Mercon, Empal Gentong, Pecak Ikan, Kepiting Soka Saus Manggar, Tutug Oncom, Kuthuk Bambu Kluwak Barakuda, and many more. 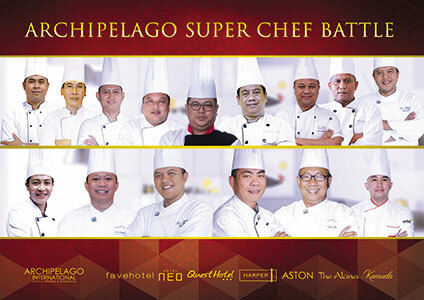 “The purpose of the Super Chef Battle is to highlight the culinary skills of Archipelago Hotels’ chefs and to raise awareness of the culinary arts among industry professionals and the wider public. The whole event itself also served as appreciation for food lovers in the region”, said Aditya Wirakusuma – Corporate Food & Beverage Manager of Archipelago International. The event was part of the Food & Beverage Conference series attended by the Food & Beverage leaders from over 110 properties, to discuss key strategies for 2016 and to improve overall knowledge of the culinary world. In addition to the live cooking battle, other exciting attractions were held and attended by over 100 guests, including All You Can Eat food offerings, interactions with the chefs, and tips and tricks on cooking. On the same day, The Alana Hotel & Convention Center – Solo also held a Cooking Class with Chef Made Kona, Corporate Executive Pastry Chef from Archipelago International. The 61 participants learned how to make cupcakes, panna cotta, chocolate lava cake, chocolate chips cookies, and crème brûlée, and each member also received a certificate, photo, and recipe handbook.